Here’s the famous two-tube topper you’ve read about in LIFE. 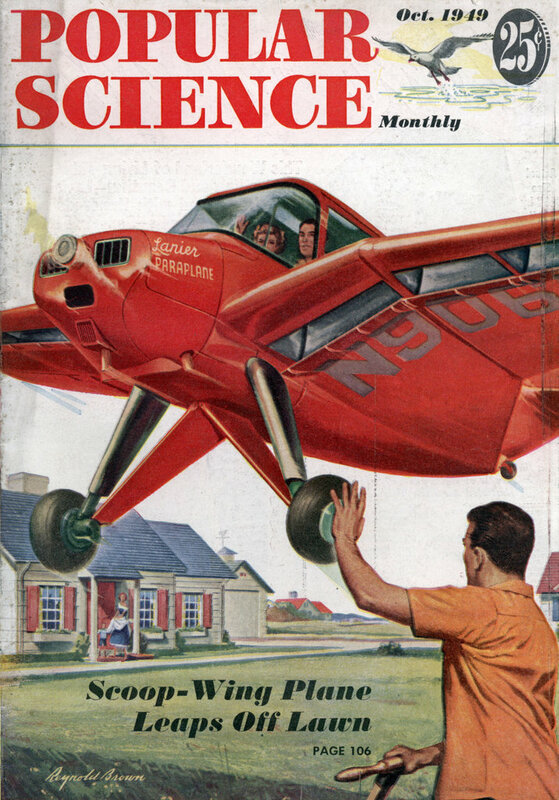 TIME, POPULAR SCIENCE, BUSINESS WEEK, and many other magazines and newspapers, coast-to-coast. 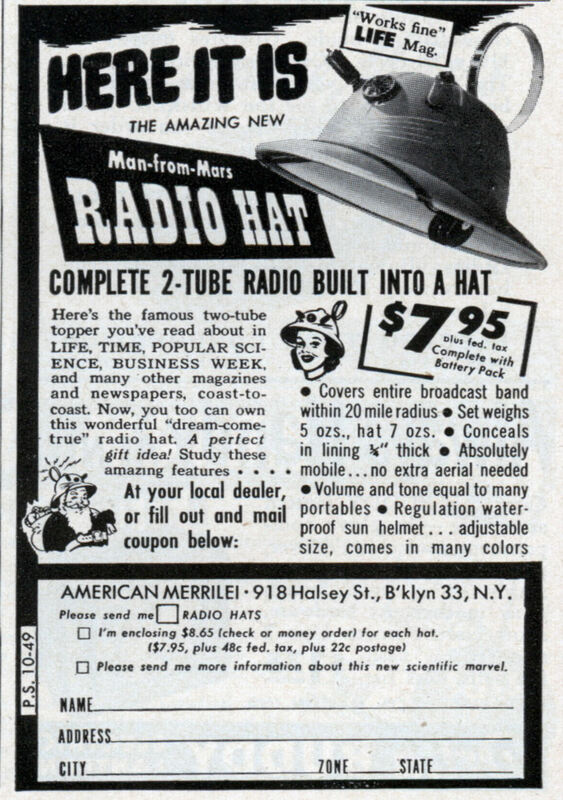 Now, you too can own this wonderful “dream-come-true” radio hat. A perfect gift idea! Study these amazing features…. AMERICAN MERRILEI – 918 Halsey St., B’klyn 33, N.Y.
Hi, stuff like this is best scanned with a piece of black card / paper behind it – eliminates the print through from the other side. I love the glowing Life Magazine review. Also comes in handy for eating guitars. Oooh boy! I agree with Toronto here. This should make for a great DIY project. … also found the Life article on the hat. The full quote reads “Two tube set plays fine but looks ridiculous”. Here, I’ll post a link to the Life magazine article and everyone can enjoy the glowing review! “Regulation waterproof sun helmet”… but are the electronics water proof? These are great. I cover mine with aluminum foil so that I do not get any government interference. Highly Recommended.